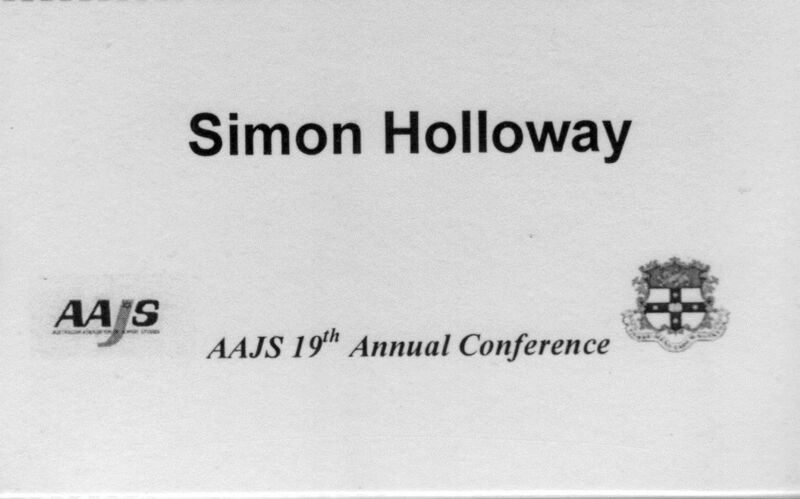 Last Sunday I was granted the opportunity to speak for twenty minutes at the 19th annual AAJS (Australian Association of Jewish Studies) Conference, hosted by the University of Sydney. It was quite an honour to have been included amongst the speakers for that day, which included Professors Konrad Kwiet, Yehuda Bauer and Yairah Amit, as well as Doctors Shani Berrin and Hilton Immerman. The session in which I spoke, Session 1a: “Biblical”, ran alongside Session 1b in a separate room, and so only had about fifteen to twenty people in attendance. That included Prof. Amit and Dr Berrin, both of whom spoke before I did, and was chaired by Lucy Davey of the University of Sydney. The title of my (short) talk was “Killing Me Softly: Pathos and Irony in the Jephtha Narrative” and was, as the name suggests, an examination of Judges 11 in light of the theme of human sacrifice. I went through the story in brief, indicating various elements that invoked pathos (such as the virginity motif towards the end of the narrative) along with items of dramatic irony (chief among which was the daughter’s joy in running out of the house). I spoke of the tendency amongst Jewish exegetes to deny the sacrificial element of the story, and then went on to discuss the prevalence of cultic infanticide in Ancient Israel. This is a rather contentious point and, not wanting to open too great a can of worms, I focused more upon Molech-worship than anything else. This theme then led me to indicate the assertion that Molech was an Ammonite god (in view of a few verses in 1 and 2 Kings) and, thus, to indicate what may have been the greatest irony within the Jephtha narrative. Despite having conquered an antagonistic people, Jephtha succeeds in assimilating their most detestable practice; a statement on the nature of evil, there is no longer so great a difference between the hero of the Gileadites and those from whom he sought to defend them. 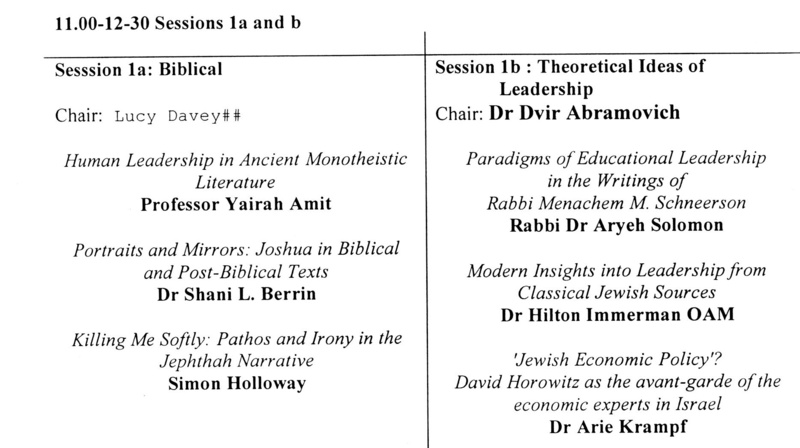 I had been advised to keep my talk as simple as possible for the conference was not an academic one and the assumption stood that attendees may not be familiar with the Biblical text. While this was good advice, the attendance on the day rendered it thoroughly (and unfortunately!) unnecessary. Several of the people in the room held PhDs in related fields and Prof. Amit, in whose presence I spoke, had also composed a commentary on the book in question. C’est la vie. I get back a week after the NAPH conference… oh well.